Take a tour of the beautiful hill station of Dalhousie and explore the scenic places of this hill station. Visit the best places in Dalhousie. Take a tour of the places like Panchpula, Khajjiar and many more during your tour. Your tour will begin with a pick up from your hotel/residence in Dalhousie at your specified time slot. After the completion of your tour, you will be dropped back at your hotel/residence in Dalhousie. Pick-up and drop-off in Dalhousie hotel or residence. 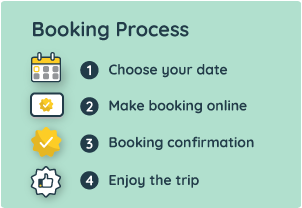 You can choose to skip places if you don’t want to visit any place on the itinerary but adding extra places cannot be done.